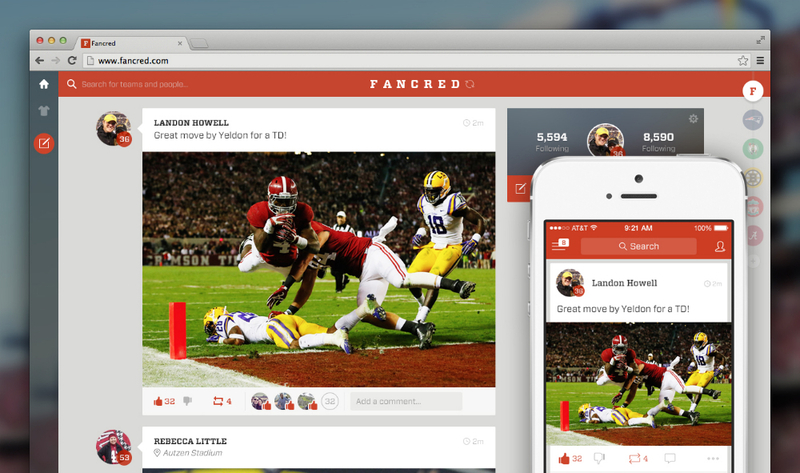 A social network built entirely around sports called Fancred has finally arrived for Android, after making the rounds on iOS and the web. The service is geared towards super fans who love going to games in person, allowing users to share photos, top plays, and check out all of the latest news surrounding their teams. Besides sharing tons of selfies at the park, users can also check-in at parks, and judge your fanship with the “Fancred Score” which is based on a 1-100 system. When you post more GIFs, videos, and pictures, your score will reflect this. The service is free to use. If you have the need to share your sports experiences with the world, go check it out. Capture your gameday photos, especially those selfies with friends. Where ya at? Check-in at the stadiums and events you attend. Share the articles you read, the videos you watch, and all of the GIFs. GIFs are awesome. The Fancred Score 1-100 scoring system that increases whenever you post or interact with others. There are more than 2,700 team tags on Fancred. Tuesday Poll: How Often do You Use Voice Search?